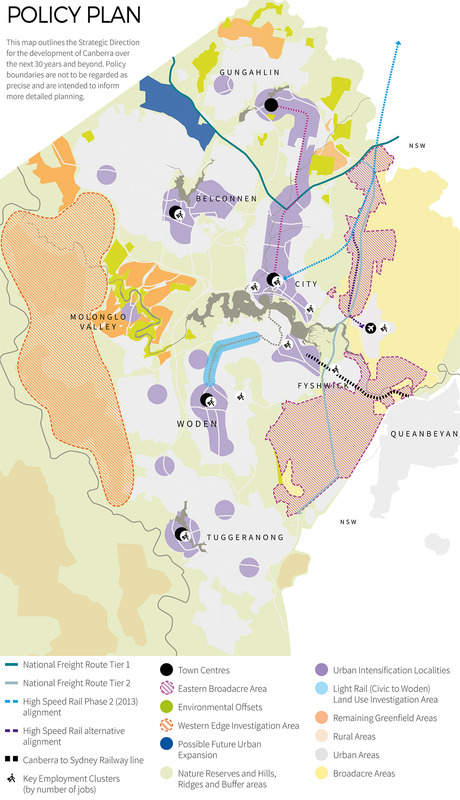 This map outlines the strategic direction for the development of Canberra over the next 30 years and beyond. Policy boundaries are not to be regarded as precise and are intended to inform more detailed planning. Image: Summary plan outlining the strategic directions for the development of Canberra over the next 30 years and beyond. Click image to view larger version.